What's Your 20? Tweet your seat & you could win! The 2013 Summer Tour with Goo Goo Dolls is underway beginning Tuesday, June 25! 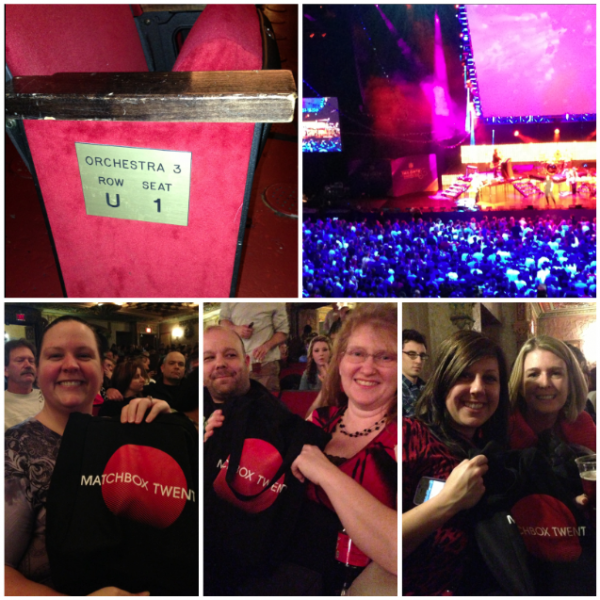 We'll pick a lucky seat at most shows to win a grab bag of Matchbox Twenty merch. Do YOU want to be the lucky seat? All you've got to do is tell us: #WhatsYour20? 1) Tweet @MatchboxTwenty on the day of your show. 3) The Matchbox Twenty team will select one lucky reserved seat* at every show to win. Good luck! *Note: We may be unable to acommodate winners at all-general admission shows, or participants who tweet in their #WhatsYour20 locations in general admission sections of the venue. All entries must be submitted via Twitter on the day of the show you are attending. Tweets must include the hashtag #WhatsYour20, along with your seat location or a photo of your ticket. Remember - Send your tweet on the day of the show you are attending. If you don't know what section/row you are in, check your ticket or ask local venue staff for help. Each night of the tour, the Matchbox Twenty team will select one lucky reserved seat at random to win a Matchbox Twenty merch pack. Good luck!! !